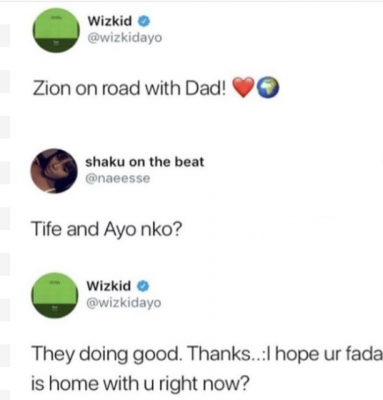 Popstar Wizkid has been dragged by a Twitter user asking about how his sons are doing. 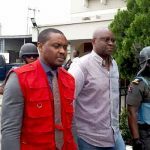 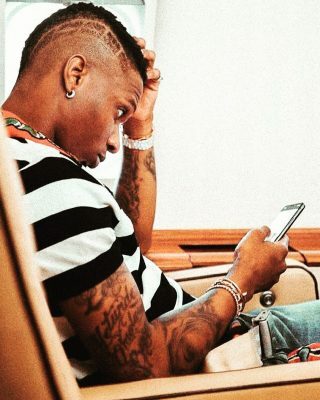 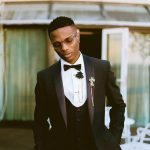 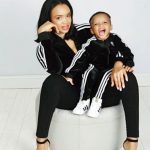 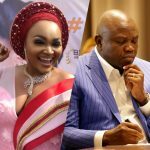 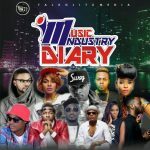 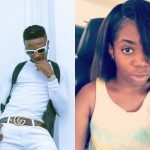 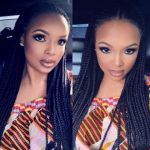 Wizkid who was called out by his first babymama, Shola Ogudu for being a deadbeat father few weeks ago has always faced big lashes from social media users since then. This time around, when the ‘Fever’ crooner took to Twitter to disclose that he is on a road trip with his third son Zion, a fan quoted the tweet asking if his first and second sons Tife and Ayo are also with him.